Doug Payne is one of the lucky people who started riding at a very young age. Doug has been profiled in and contributed to magazines such as Practical Horseman, US Eventing Magazine, The Chronicle of the Horse, Eventing Nation as well as a number of other regional and national publications and media. Along with Jim Wofford, Doug produced the acclaimed ‘the Rider’s Eye‘ instructional DVD. 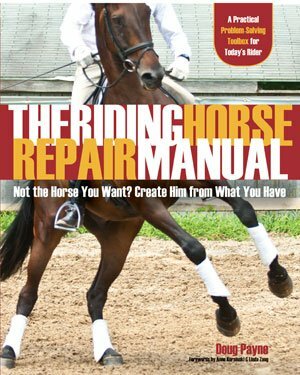 Doug’s latest effort is the book, The Riding Horse Repair Manual, an instructional guide to developing confident and competitive horses. The book not only gives you tips on better riding and horsemanship, but also teaches you how to deal with bad behavior in your horse. Doug Payne might be best known in the discipline of Eventing. Doug has won countless national and international competitions from Beginner Novice through Advanced. 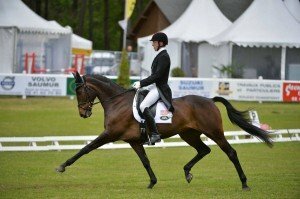 In Dressage he has had international success through FEI Intermediate I. Aside from Dressage and Eventing, Doug has extensive experience in jumping. 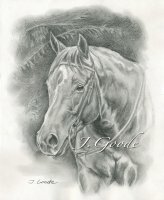 He has ridden multiple horses from the lowest levels through Grand Prix with many top placings at national competitions. If you stopped by the Doug Payne Equestrian Sports webpage you will quickly discover just how busy Doug stays. He rides sometimes ten or twelve horses a day. When he is not training he is competing. We managed to catch up with Doug at his new place in North Carolina. We learn a little bit about his early history with horses and his plans for the future. 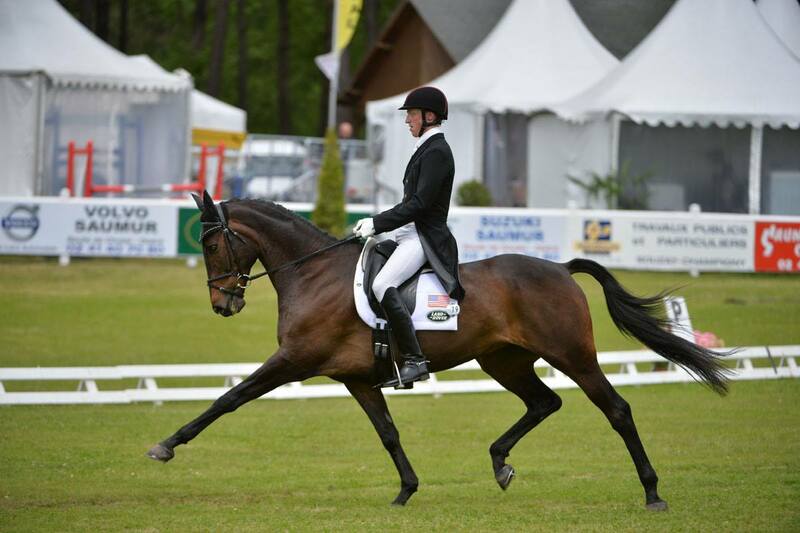 Doug and his wife Jess had just returned from the Saumur CCI 3 star in France. As part of a grant from Land Rover Doug Payne competed on Crown Talisman, his 17.1 dark bay Thoroughbred-Holsteiner cross gelding. There is also a pretty cool “helmet cam” video of Doug on Talisman making their run in France. You can find it here and check out Doug Payne’s Youtube Channel. And if all that is not enough, you can find training videos online from Doug Payne. We have well over 60 episodes up now and you can find them all for free on iTunes, with our Android App in the Amazon store, and now Stitcher, or wherever podcasts are distributed. Get the Stitcher app and let us know how it works. It’s Free. You can also find every episode and more about the show at whoapodcast.com. Please join our email list. Get in on the conversation with Facebook and Twitter – just look for WhoaPodcast.